Drink Pink: Rosé Events are coming to the Osbourne Hotel! A rosé by any other name would taste just as sweet. If you’re already grinning at the idea of treating yourself to glass of rosé after work, try the thought of three months’ worth of the good stuff. Yes way rosé we hear you say? You better book a babysitter for that fur child of yours because Fortitude Valley’s vibrant garden bar, the Osbourne Hotel, is set to continue winning the hearts of Brisbane’s boozy bunch with a series of fortunate rosé-based events! Across the rosé season, being November, December and January, the Osbourne’s Drink Pink series will quench your thirst for quality rosé and feed your hungry eyes with gourmet picnic hampers, bottomless brunch and a lavish dinner. First up is PinkNic, the younger cousin of the forever sold-out Rosé Revolution. From 11:30am on Sunday, December 9, a glass of Villa AIX Rosé will greet you on arrival as you step into the green surrounds of the Osbourne for a peachy picnic. 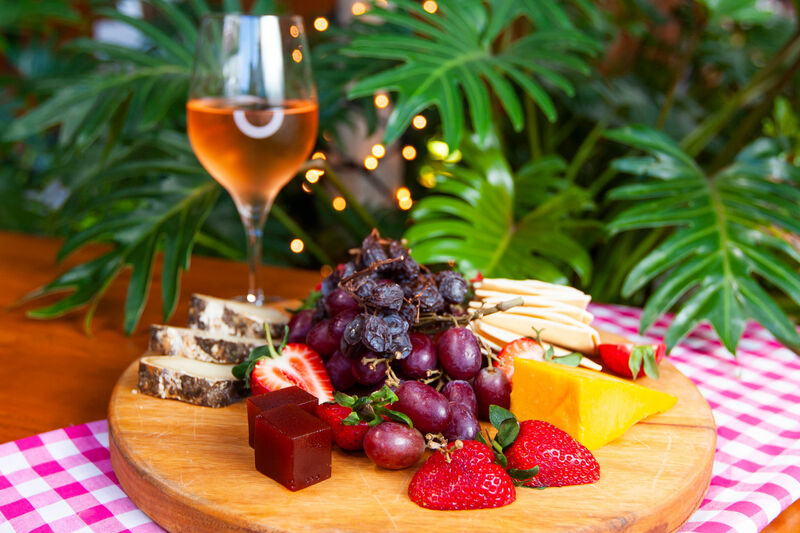 An afternoon of rosé, gourmet picnic hampers and entertainment will leave you tickled pink. Bites-wise, think smoked salmon, duck paté, baguettes, cold cut meats, grilled veggies, gourmet cheeses and French macarons. On Wednesdays we don’t wear pink, we drink it. December 5th will see Mumm Champagne brand ambassador, Kaitlyn Tremblay popping in to lead an exclusive Champagne dinner! This three-course dinner by Chef Ben King will be expertly matched with Mumm Grand Cordon Rosé, RSRV Blanc de Blancs Champagne and Mumm Grand Cordon Champagne – all bubbles without the toil and the trouble. Last up is a bottomless brunch that’s anything but basic smashed avo (does this mean we can afford a house now?). Say oui to a French-inspired free flowing brunch with entertainment and an endless supply of Villa AIX French rosé on Sunday, January 20th. In between all these pourfect events, the Drink Pink menu will be available at will, dripping with local and international rosé. Honey, we’re parched, that was a mouthful (a delicious one though). Rosé this way for tickets and more info. - the gourmand who adores a good pour. Summer snacks are a piece of cake thanks to Hunter Valley winemaker Gwyn Olsen. Are you ready for the Rosé Revolution?